Welcome to the 2019 AEJMC Online Paper Submission Site. All peer-reviewed papers must be submitted via this site. The deadline for submissions is April 1, 2019 at 11:59 p.m. CDT. If you have already created a user account this year you should login by entering your User Name and Password in the above fields. If you have forgotten your login or password, click the link below and follow the instructions to have your login information emailed to you. Click here if you have forgotten your password or user name. 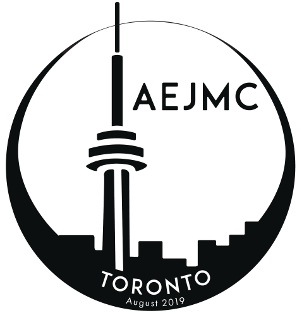 If this is your first visit to the AEJMC 2019 Annual Meeting Site you do not have a user account, and you will need to create a new account. THIS SITE IS INDEPENDENT OF THE AEJMC SITE. THEREFORE, YOUR AEJMC MEMBER LOGIN WILL NOT WORK HERE.